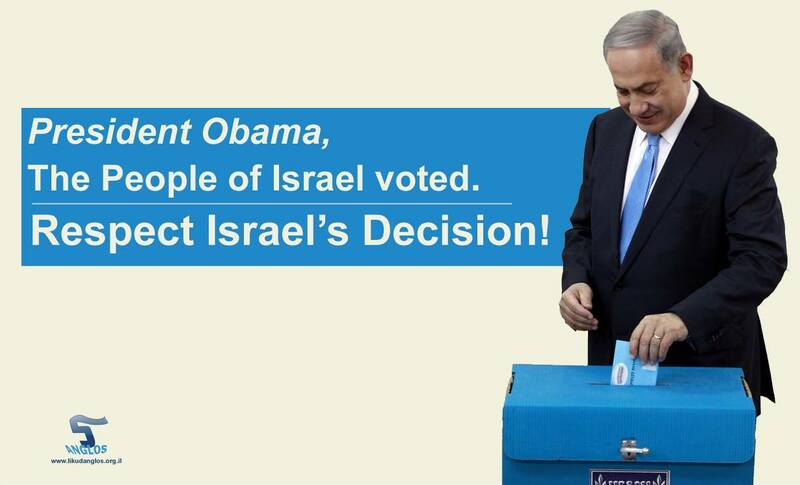 JERUSALEM, March 30, 2015--In the wake of attacks on newly elected Prime Minister Benjamin Netanyahu from the Obama administration, Likud Anglos launched a social media campaign calling on the administration to respect Israel's democratic decision. The ad, later translated into Hebrew, garnered nearly ten thousand views on Facebook through Likud Anglos' page alone in addition to duplication put out on other Likud-related Facebook page. A petition which accompanied the ad received hundreds of signatures.